There’s a lot to be said about consuming technology remotely. Heck, the cloud is just that – someone else stands up infrastructure and services, and you consume them. But what about for the desktop environment, which for many is their main working environment and something of a tug-of-war when it comes to ownership, management, and administration? 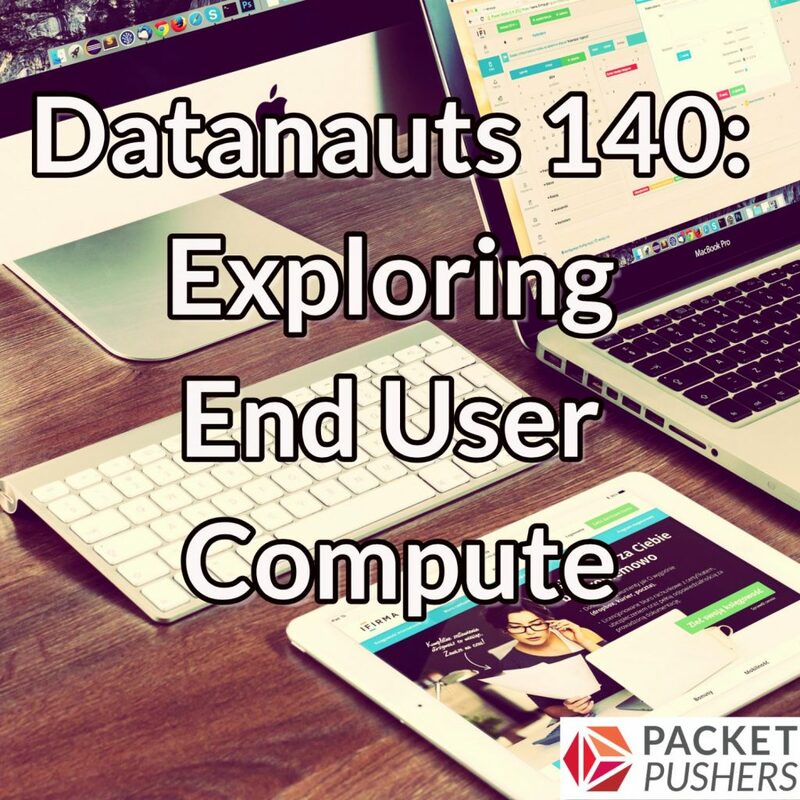 In today’s episode of the Datanauts, join us as we de-mystify the exotic world of End User Compute, or EUC. Our guest is Sean Massey, Senior Technical Architect at AHEAD. You can follow him on Twitter at seanpmassey and check out his blog at TheVirtualHorizon.com. We discuss what EUC encompasses, including technologies such as VDI as well as mobile devices, laptops, and desktops. We also look at how SaaS and cloud apps affect end users and application delivery, and explore the impact of EUC/VDI on the data center.